Today with most entertainment products being quite isolating, the Atari Pong® Bar Table is an embodiment of turning back the time and bringing back the personal side of games. 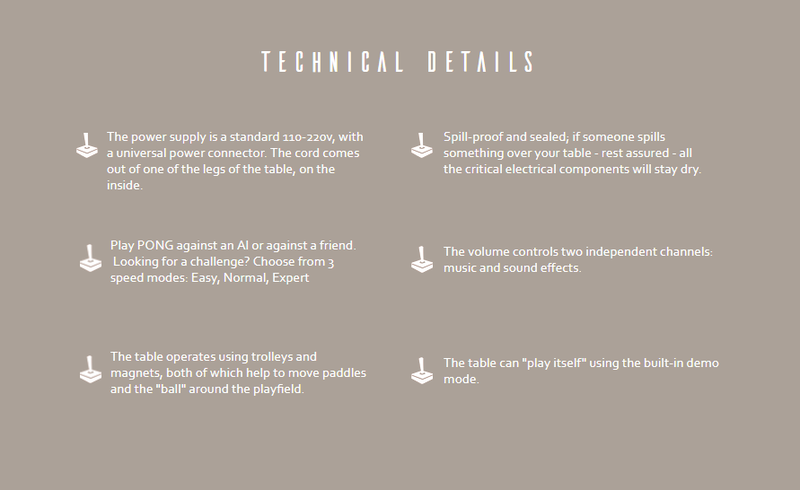 The table brings together the high-tech mechanical engineering of today and everyone’s beloved game from the ‘80s. ATARI Pong® Bar Table is inspired by the classic Atari game. There are no screens or digital software; the game is recreated with motors, rails, pulleys, and magnets.